Need more quality real estate leads? Local Text Marketer’s Lead Generator uses proprietary mobile SMS technology to encourage easy, spontaneous interactions between new prospects and your listings and delivers high quality, affordable (dare we say cheap?) real estate leads for as little as a few nickels per day, per listing. Although the Lead Generator was designed specifically for real estate listings, it can be used for any business for which a new customer represents a significant dollar value. A perfect example is a used car dealership. 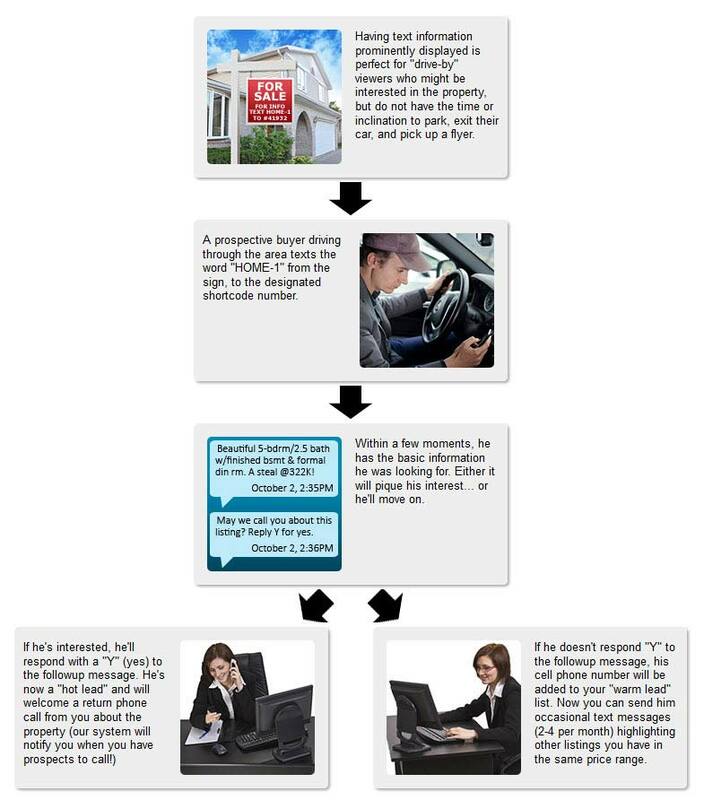 The Lead Generator can deliver relevant messaging specific to every vehicle to which it is assigned. Your Prospects have Cell Phones. According to a recent Pew Internet study, 97% of people between the ages of 18-46 have a cell phone. Other studies suggest people rarely have them out of arm’s length. Providing an opportunity for easy mobile interaction with your listings is smart, and ultimately leads to more… leads. Easier connections. More Prospects. More Real Estate Leads. More Listings. Making it easy for your prospects to connect with you is a savvy business strategy; data from IMS incorporated shows that 73% of home sellers list their home with the first person they talk to!. Being “first” in the conversation therefore is critical to your success! And we can help you do just that! Generate hands-free, automated, low cost real estate leads from your listings and ensure no contact ever generated by a listing is ever wasted. Deliver immediate value to the end user – your prospect – a vital key element that is missing from current offerings. Ultimately, no system, no matter how good, will ever deliver a lead for you, unless your prospects get value from the system. The Lead Generator addresses this problem. Ensure compliance with anti-spam and privacy laws in both the U.S. and Canada. Ensure compliance with real estate industry laws, by including a “non-compete” disclaimer if necessary. Ensure highly-relative, targeted follow up messaging by allowing leads to be “tagged” by their interests. OK, So What’s It Cost? Prices per month are shown below. The functionality is exactly the same in all services, the only difference is the number of listings the service can be used on and the volume of text messages alloted to your account. No contract is required, you may cancel your subscription at anytime! We are rated A+ with the Better Business Bureau; order in confidence! *SPECIAL NOTE: Subscriptions do not include the “toppers” needed for real estate listings. You can have these done yourself, you we can have them done for you. Toppers can be reused indefinitely. 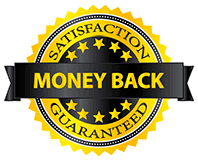 While we offer a 30-day unconditional money back guarantee on our Lead Generator service, there are no refunds on purchased toppers. We’d be happy to discuss the Lead Generator service and how it can work for your business! If you have any questions, call 877-403-2402 or contact us through our web site, click here! “Rollover” texts (do not expire). We offer a 30-day unconditional money back guarantee. No hassles. No headaches. Guaranteed. Here’s how it works: Sign up for a Lead Generator subscription and give it a spin in your real estate business. Spend the next 30 days putting it to work in your business. If, at the end of that time, you’re not satisfied — measurable by whatever benchmark you care to apply—drop us a line and I will refund every penny.